Each section meets the Florida 1-hour immunohematology and blood bank/donor processing requirement. For ASCP, each section provides 12 contact hours in immunohematology and blood bank/donor processing. 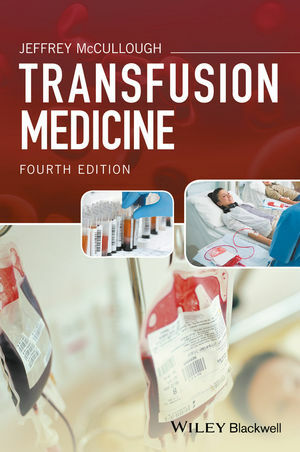 Transfusion Medicine, 4th Edition provides a concise, clinically focused, and practical approach to the field of blood banking and transfusion therapy. It offers comprehensive information on topics from transfusion therapies, novel cellular therapies, donor recruitment, blood collection and storage, to testing and techniques for transfusing blood components, complications, and transmissible diseases, as well as therapeutic apheresis and the role of hematopoietic growth factors. This edition also discusses the clinical effects of stored red blood cells, emerging infectious diseases including the Ebola, Chikungunya, and Zika epidemics, and impact on blood safety, world blood supply, platelet transfuion, and pathogen inactivation. Laboratory Detection of Blood Groups and Provision of Red Cells. Quality Programs in Blood Banking and Transfusion Medicine. Transfusion Medicine will be valuable to all those working in the field of blood banking and transfusion, including technologists specializing in blood banking.